Editor’s Note: This blog was published anonymously at the request of the author and the youth minister who received the letter. I wish I had done this sooner, I know this letter, written in pencil and on lined paper isn’t the prettiest thing. I just hope that my words can make up for that. The reason that I write this now is because I would like to thank you and all the Life Teen Core Team for quite honestly… saving me. Well, it’s not quite in the way that you might expect when speaking of Christianity… I can honestly say that I owe the Catholic Church my life, in large part due to the Life Teen program and the many wonderful people that I met through the program. Prior to coming to Life Teen, I was quite honestly something of a mess. I was full of all sorts of negativity, full of frustration, full of anger and full of depression. Sure, I had some measure of faith, but it was shallow. I knew all the “answers”; going to Catholic School and “enduring” four years of religious education will do that. But the answers never meant as much through them as they did after attending the Life Teen program. I had few friends in high school, had faced betrayals of supposed friends not too long prior, I had faced bullying and the disappointment of my parents when my grades were never quite good enough. I’ll spare you all the details, but needless to say I had gotten into some very dark places early in my high school career, so dark that during my more crushing bouts of depression I had seriously considered suicide. Then came Life Teen, I remember my mother practically forcing me to go that first night. I hadn’t objected because I knew enough that objecting and arguing would have gotten me nowhere. What I experienced that first mass was nothing short of a miracle, at least to me. Such beautiful music, such friendly people… By the end of the Life Night that night, I eagerly awaited the next one the following Sunday. And so it went, Sunday after Sunday, meeting after meeting, I met amazing people. I met great friends, my faith deepened through the Life Teen masses and Life Nights and through Steubenville East. Above all I had something that let me see through my despair and infused in me a desire to live. So much of the person that I am now has been defined by my years in Life Teen that it is impossible to imagine who I would be without those experiences. Without them I very well may not even be here today to write this letter. Since starting my college career, I have seen both a member of my graduating class and a onetime friend that I have grown up with take their own lives. I have seen the pain and sadness that it causes to their friends and family alike and it chills me to think that not very long ago, that could have been me. I thank God every day, that I had all the wonderful people of Life Teen to show me God’s love personified in the world, because without you… I truly don’t know if I would be here today. 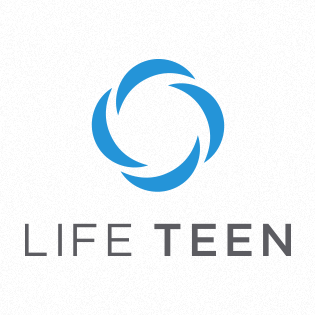 So thank you, and all of the Life Teen Core team for of your hard work and devotion. I just wanted to let you know how grateful I am to have had all of you in my life. Thank you, truly from the bottom of my heart, thank you.